I have rented cars before with Turo but this was the best one yet. Tommy had the car waiting for us in long term parking and we were all set for Vegas. The car was amazing and we got looks everywhere we went, especially by the Hotels. The car was immaculate and had every bell and whistle one could ask for. The drop off was just as easy. When I head back to Vegas I will be looking for Tommy and his BMW, thanks again for making the business trip unforgettable. 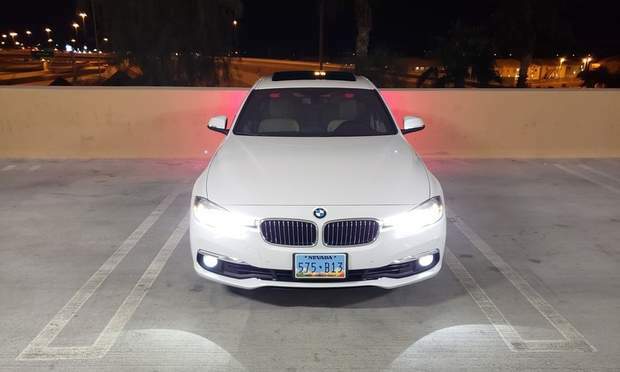 Had a great time in the comfort and class of Alex's BMW 5 series. High points for the cool factor. Car holds it's own in a city of excess and terrific cars. Alex is a great host! Would rent again and would recommend to others! Thanks Alex! Great experience. Had questions about the car mid-trip and Andrew was right there with answers. 10/10 would rent again. Excellent experience with Robert and Jason. 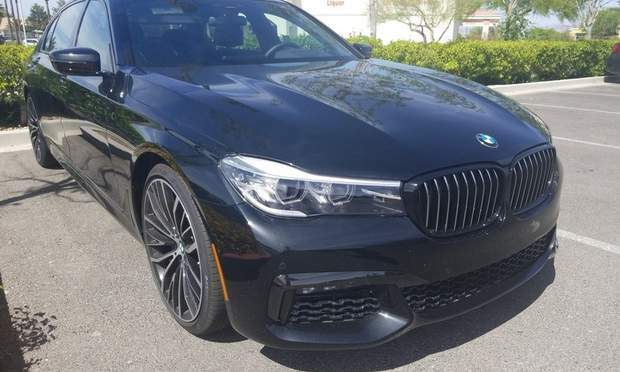 I’m an avid Turo user and have dealt with many hosts, and these guys are top notch. When in Vegas, there’s no reason to look anywhere else. 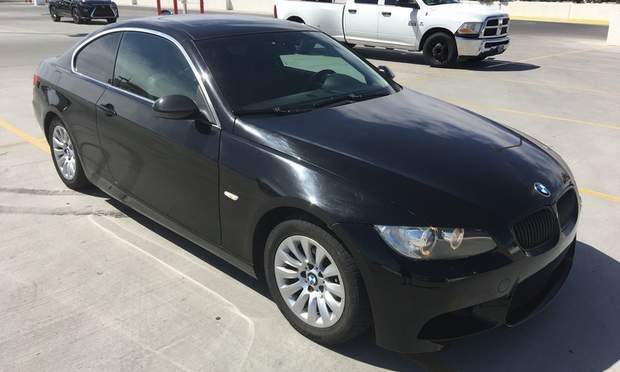 Great inventory of cars, great punctuality, and great service. I am officially renting exclusively from you guys when in Vegas. Thank you for the hospitality. Amazing service provided by Cody, before, during, and after the trip. Car was perfect and so much fun. I would highly recommend renting through Cody and won’t hesitate to rent again when in the area. Overall amazing experience. Car looked exceptional on the exterior. The interior was clean and looked like a 10 year old BMW. Communication was adequate. I would rent again from Aragats. The M4 made this trip to Vegas phenomenal!! Would definitely rent again! The convenience factor was so high, regarding the pickup and drop off at the airport, that made it very easy. Plus we got to drive around a great convertible for a few days. Highly recommended. Hong was very friendly and professional. He was very attentive and made sure to check on me each day. I will definitely be renting again!! Way easy to work with! Very nice car!! A was awesome and his car was fantastic. It holds up great in a sea of Ferrari’s and Bentley’s; fun to drive. A was also very accommodating to us and allowed us flexibility during our trip. When in Vegas and looking for a car, book confidently with A.
Sean was awesome his car was great I’d easily recommend him to anyone!!! What can I say! Robert and David really know how to run a car rental business!! They were amazing when it comes to all of the above, the cleanliness of the BMW, the communication, etc. 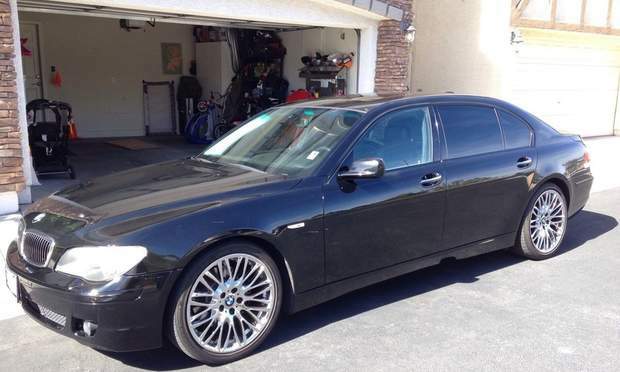 that BMW 7 Series was one of the nicest cars I’ve ever driven and was silky smooth and was a head turner for sure! If you want a wonderful experience and a car thats super awesome, definitely hit Robert up!! He knows how to give you an awesome Viva Las Vegas experience!! 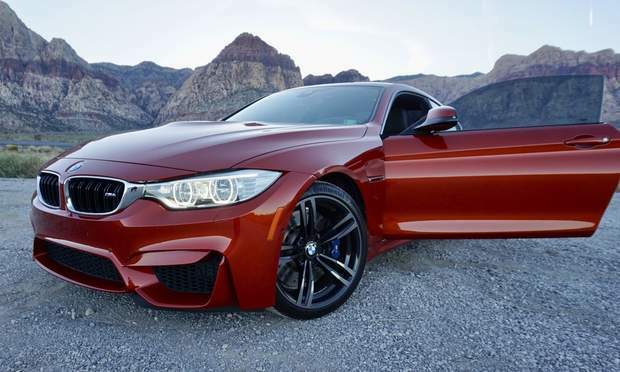 We rented Johnny's BMW 2016 M4 for display in our booth at the CES Trade Show in Las Vegas. Johnny had it detailed prior to pickup and met us right at the airport. While a car this fun does not deserve to be parked for a week, the attention it received and generated for our booth was unparalleled. Our first time using Turo.com, Johnny made it so easy. We cannot thank him enough. Highly recommended! The service provided was absolutely amazing. Every step for the reservation went smoothly. He picked us up at the exact time from the airport and drove us back to their main location. Took care of a low tire pressure issue in advance and was very courteous with being flexible with drop off and time of drop off. This was a great trip for my family and me. 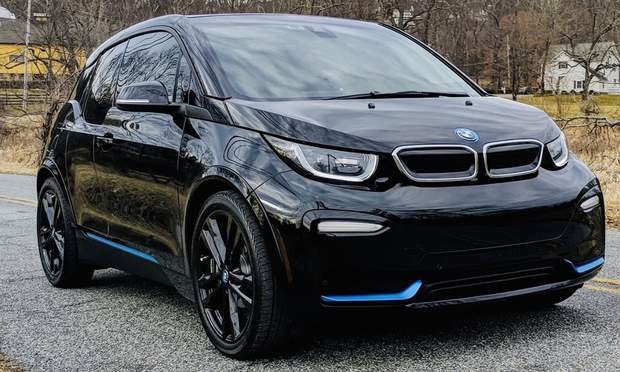 George made it extremely easy, no hassle, and we enjoyed the BMW. Thank you so much for your quick communication and ease of renting on short notice. Definitely would recommend to others and would do business again. The 4 Series BMW and Hong were both great. Will be renting from Hong again. Hong made my first Turo experience a great one. Andrew’s M4 is gorgeous. Not only was the vehicle great, Andrew was extremely accommodating when it came to meeting me at the airport after my flight was delayed 5 hours. Don’t second guess yourself, rent this car from him. Seemless rental and excellent value for such a nice car. Andrew’s assistant was waiting for us at the airport when we arrived. Car was great. excellent value for such a nice car. Return was just as easy as pickup. Would rent from Andrew again. Jericha deliveree topnotch customer service! Very friendly and punctual! The vehicle is a head-turner and well maintained! Highly recommended when in Vegas! 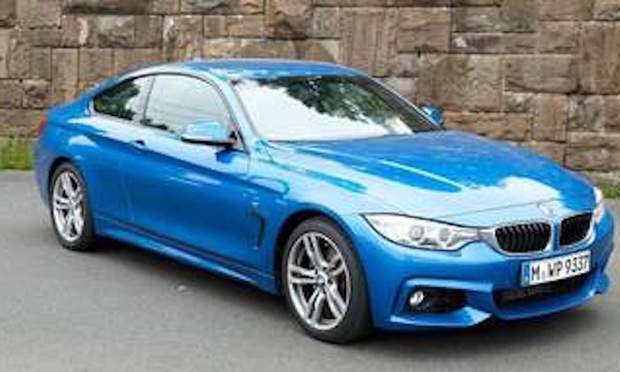 The 4 series BMW was very nice and I would not hesitate to rent again from Edmund. Chris & his BMW are amazing. Chris had the car parked in an easy to find location when I arrived. The car is exactly as posted but twice as cool. I will definitely be in touch with Chris when I return to Vegas. Hong is truly amazing. His customer service in unparalleled. His pickup and return process was very easy and convenient. His communication and flexibility during the trip made a last minute flight change a breeze. What can I say about the vehicle itself.... it was outstanding. I received so many compliments everywhere I went in Vegas. The car was a nice smooth ride, immaculately detailed and well taken care of. The red leather interior is super appealing and the car itself is an overall head turner. I highly recommend Hong for his outstanding customer service, great pricing, and incredible vehicle. Can't wait to rent again soon. Great service w/ curbside airport pick up and drop off. faster and more convenient than the rental car companies. M6 is amazing. A+. Awesome experience from start to finish with very good communication. Every time I had a question, it was answered within a minute or two. I would highly recommend this for a great Vegas experience, and will be a repeat customer. Great trip This was our first Turo experience. We had a few questions and hengdong was right there to answer everything. We will do it again. Voiture de propre et de qualité et hôte serieux. Awesome ride!!! Thanks for everything! Awesome guy, worked with me on pickup and return! The 328 was clean and fun to drive. Very responsive when needed. Drove very smoothly. Excellent experience all around, if you’re looking for a convenient and easy way to rent a car in Vegas I can’t recommend renting from him enough! Great service! Ben was awesome! Super nice, friendly and a great guy. Can’t wait to return and rent a car from them again. Easy and convenient business transaction. A little confusion with how much gas the car was returned with but other than that flawless! Serj met me at the parking lot with the car ready to go. Told me at LAS parking under 30 mins was free! Good tip. At the end of my trip he met me at the departure for my airline. Curb side! Handed him the keys and he vanished like a fart in the wind. The whole process start to finish was simple, VERY convenient and made every other car rental place look like chumps. I will never EVER use a commercial rental car company again. TURO is the way to GO-O. I can't rap, sorry. Was very convenient to be able to pick up the BMW from the airport parking garage and to drop it off there as well! James was very communicative throughout. Was kind of worried that I would be standing and waiting by his car in the garage but he had the car doors unlocked remotely within a minute. Great experience and will be renting from him again! Cayla was so great to work with to coordinate our rental for our trip. She made the process extremely easy and was flexible and communicated with pickup and drop off and still had our rental ready when her daughter was injured! Drop off was seamless too! 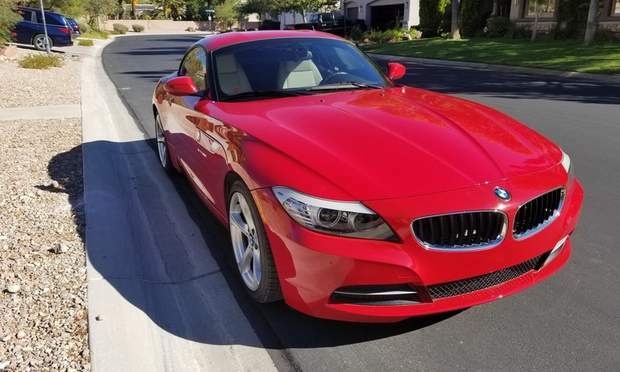 The BMW was gorgeous, easy and comfortable to drive yet was fun to zip around the strip in! We left a pair of sunglasses in the vehicle and Cayla shipped them out to us within an hour of notifying us we left them behind. Will defiantly be renting again on our next Vegas trip. My wife and I only went for one day. And sycario and his assistant made our trip so much better. The only problem I experienced was not having enough time with that car. I am thinking about coming back in two weeks and I am definitely going to rent this car again.. Car ran well. Communication was easy. I would recommend renting this car. Amazing experience! Aragats was extremely helpful and flexible with some last minute changes I needed to do. Great vehicle, comfortable and smooth, really good on gas too. I would definitely rent from her again. Great car , great service. Nick was very easy to reach and fast at responding . Very easy going and nice host. Will definitely rent again when I’m in the area. Kevin was more than accommodating. I had another person cancel last minute and Kevin was able to get the car ready and perfect with less than 24 hour notice. He is very punctual. The car was very tidy. Everything was much easier than I expected. Very professional. 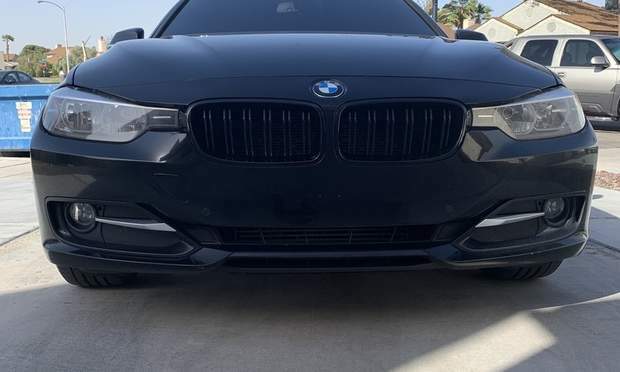 I absolutely loved the car, I am now a BMW fanboy. Awesome trip! Kevin is great and his car was a blast to drive. Met us at the terminal for both drop off and pickup which makes the experience even better. Highly recommend! Awesome car. Very clean and Li was great. I will definitely rent from Li again on my next trip to Vegas! Awesome car and very convenient pick up and drop off right at the airport terminal. The car is amazingly fast and clean. Awesome overall. Gabriel’s car is very clean and easy to drive. We enjoy our trip in his car and would definitely recommend it to any one who comes to Las Vegas. The BMW 3 Series was very clean and comfortable to drive. A great car and Jerry was great to deal with for the rental. Alex was awesome! Very easy to work with and made everything smooth. We even asked for a favor upon meeting to pick up the car and he helped out with no problem! The car was amazing and drove smoothly. Very stylish as well! Definitely would rent again!! Christopher was amazing and the bmw was sporty and very nice. Not only did he help me figure out what to do with my previous rental when the person didn’t show to get their car, but he also was very accommodating with my odd hours pickup and drop off! Everything went perfect renting Edmund’s M4. Got picked up from the airport, super nice guy, loves cars as much as I do. Would absolutely recommend renting from him, I definitely would again next time I visit Las Vegas. Ellaine’s BMW was great. Enjoyed Las Vegas with the top down. Ellaine showed me all the ends and outs of the vehicle at pick up. I would rent from her again. Johnny was amazing and very helpful. He is the king of communication. He clearly will work very hard to make your rental a success. His car (2016 BMW M4) is a great car, in great shape. I look forward to working with him again. Everything you hope for in a Turo rental. The car was what I paid for - $35. 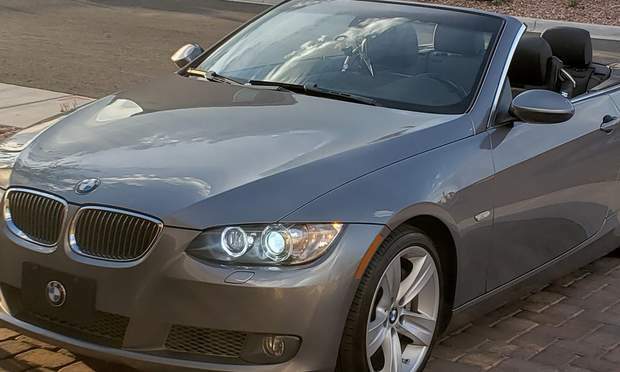 A 2010 BMW. So not the nicest thing but of course the Turo experience is 100x better than the renter experience. Don’t get me wrong, the car was good. Just older and didn’t have bells and whistles. Again, exactly what I would expect at the price range I was at. We loved driving this beautiful car! 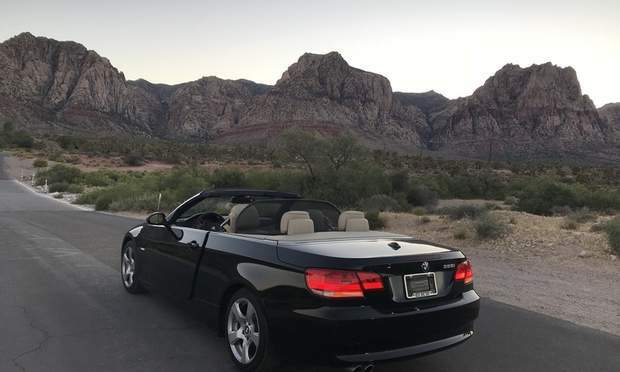 It's in great shape and the automatic convertible hardtop "works like butter." 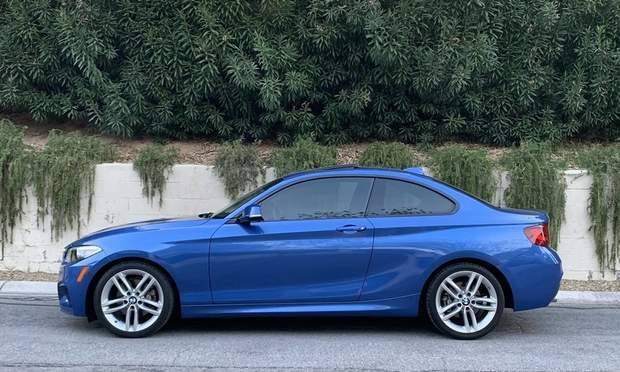 This is a fun car for both casual drivers and BMW enthusiasts. Vanessa was excellent to work with and extremely responsive to our scheduling change requests and other questions. We'll definitely try to score this car again when we return to the area for vacation. Chris is awesome and so is his BMW! Had a great trip, his communication was fantastic and he was very punctual along with having a great car to use for our Golf trip. Highly recommend and will be renting from Chris again! Sean’s BMW was great! Car was clean, cool and convenient. Really great Turo experience, I appreciate and support Sean, he’s a first responder so give him your business. 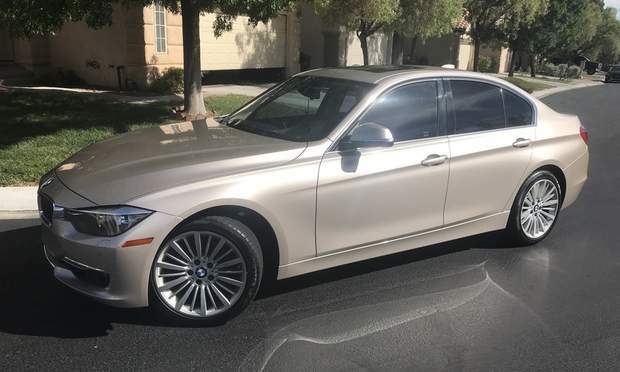 This has been a really good experience renting thus BMW from Johnny . He was very Polite and te car is amazing ! 5 star service all around! Love the pickup at the airport and convenience of check in. Great communication as well. Will definitely rent from them again next time I am in Las Vegas. Nick was very professional, prompt, and accommodating. Will definitely use one of his cars next trip to Vegas. Ka was amazing to work with. Right on time with drop off. Car was fully detailed and full gas tank upon drop off. Made my experience that much better. Highly recommended!! Amazing experience. Would definitely rent from Paul again next time we’re in Vegas! Kevin was an awesome guy, on time and the car was AMAZING. Was in vegas for a business event and this was a great EXPERIENCE for me. Amazing experience. Great price. GREAT BMW. Made my pick up and drop of a breeze! Will definitely rent again! Smooth drive with Kevin's BMW. Went on a day trip to Red rock and it was all fine. The car is clean and drives well. Kevin was very flexible regarding the pickup and drop-off location of the car. Mr Hong was amazing! He took great care of us! His BMW was great! Very clean and good on gas but still fun and nice to drive. Very friendly and accommodating to our needs. Even left us a few bucks for parking which was unneeded but a nice gesture. Would highly recommend him to anyone! So our flight was delayed by 6 hrs total (from Houston by rain of course) and Gabriel still came to get us. I was so worried about that, but he was gracious and compassionate toward myself and my cousin. 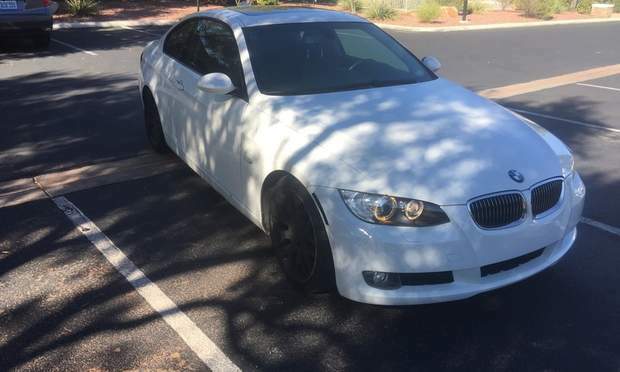 We are so thankful to have been able to drive your BMW. Especially once we learned the BMW hand shake. We were also driven back to the airport as a courtesy by a lovely lady. We miss the car already btw we named her Ebony lol. Great car, lovely people to rent from. My girlfriend and I took the BMW to Joshua Tree for a weekend and it was just the right car for the job. Thank you Hong. You and your car were Awesome! Great communication. Getting and returning car was easy. Car was clean and beautiful. Greatest renter I have dealt with to this day everything was effortless from start to finish I would highly recommend renting from Ka again. Gabriel was amazing to work with, very easy to communicate with and the car was good for the price! Wish the car speakers were a little better and that it drove a bit smoother but overall great experience! Cars a ton of fun highly recommend Jonny and the m4. Wanna get noticed? This is THE car! People broke their necks checking out this car! Not too difficult to drive, but man does this car fly if you want it to. There's a little damage on it already, and don't try to fit more than 2 suitcases in the backseat, the trunk is not an option for even a carry on and it's not super easy to get people/stuff into the backseat. But who cares? We got to stunt for our clients and that was more than worth the cost. Thanks for the coolest experience ever in Vegas! Great experience would recommend. Car and service were both great. Will look to Nick first next time we return. Roberto is a super awesome host! He was very flexible and considerate, and both pickup and return was incredibly easy. Specifically, my flight arrived late but he was very friendly and helpful. 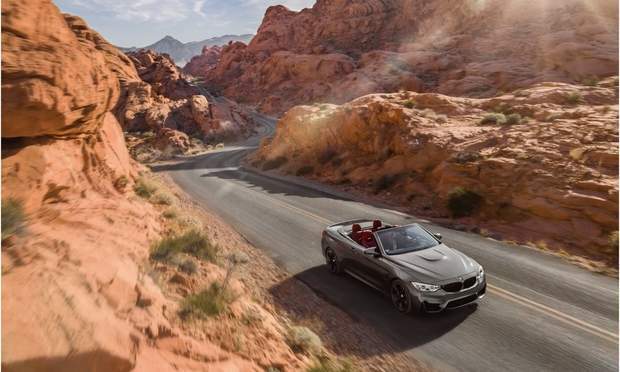 And of course it's always good times to drive a sweet BMW. I am glad to recommend him and his car to everyone. Great to deal with. Picked up at the airport with no problem. Car was as described and was perfect as an upscale ride for 4 adults. Much better than renting an Altima from the big chains. Will definitely use again the next time in Vegas.